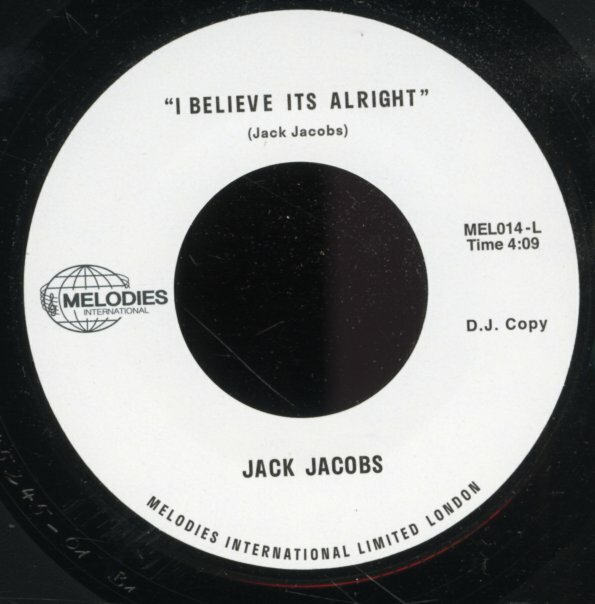 A rare bit of blue-eyed soul from the Philly scene of the 70s – tight and funky, with this romping bassline that really drives the whole thing along – as Jack Jacobs croons out a meaningful lead that's got a strong Free Soul vibe! The tune's got this warmly funky quality that's great – with riffing guitar and rising piano lines along with the bass – and Jacobs draws on the earnestness of his earlier group soul work to really make the tune sparkle! © 1996-2019, Dusty Groove, Inc.